After our first wedding packages in Marrakech, Saint Tropez, Nice and Paris, I am happy to present you our first wedding package in Provence. 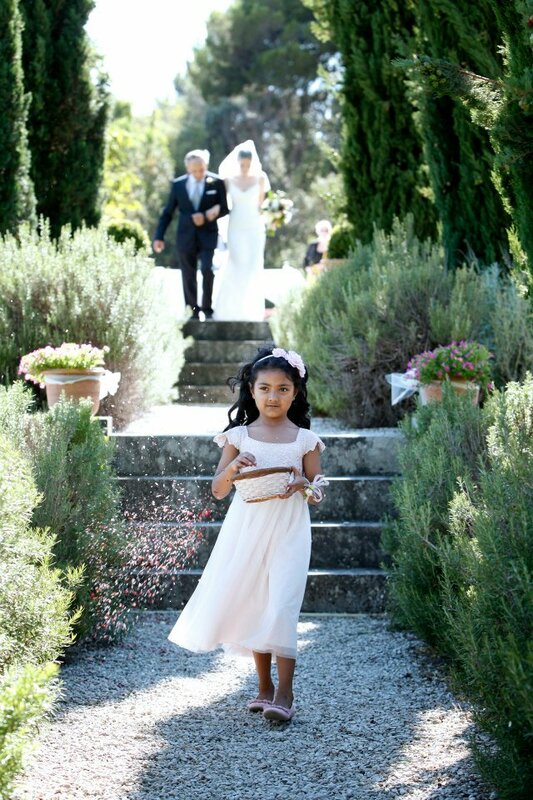 Given the fact, that the venue is already almost booked for Summer 2013, I designed just for you a specific wedding package for a weekday wedding in Provence. Indeed, weekdays are more and more demanded by the bridal couples especially during Summer. Your guests can come from Saturday to Saturday for holidays and you can place your weddings days on a Thursday or Friday for instance. 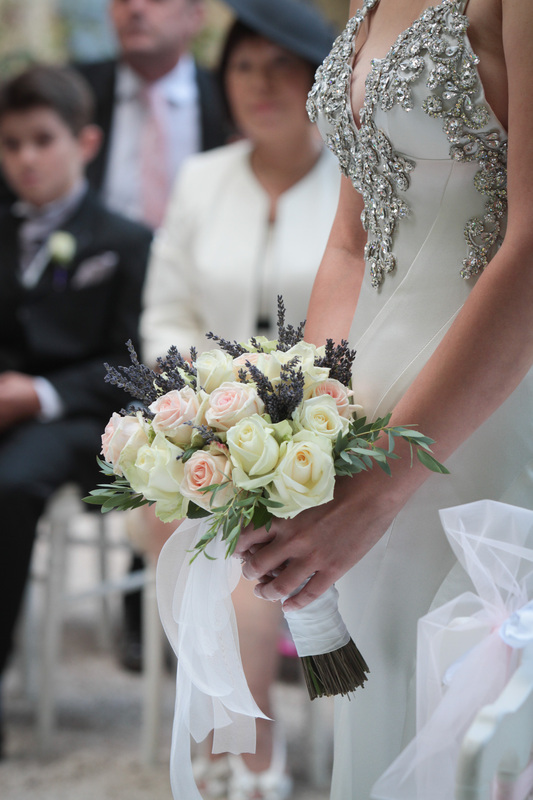 This enables you to have cheaper prices on all providers compared to Saturdays weddings. I discovered this venue 3 years ago and I found in love with this place. This is a beautiful vineyard, owned by a charming family. 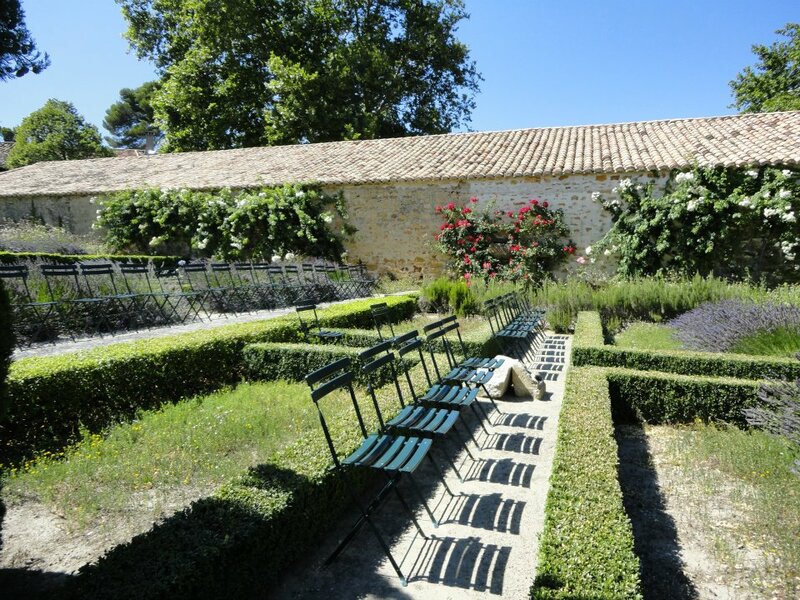 The property is located in Provence, close to Orange city. It is a very touristic area with a lot of hotels for your guests and many places to discover. What I like very much too is the main building of the wedding venue. It’s a refined mansion, that is perfect for wedding pictures. You can’t go inside as this is the house of the owners but you can organize a lovely apertitive in front of the building. There is also a huge courtyard where the diner can take place, but you may need to add some fairy lights as there is no light by night. Otherwise, the owner built a very elegant reception room with amazing ceiling lights. That is also perfect for the wedding diner and the dancing part. 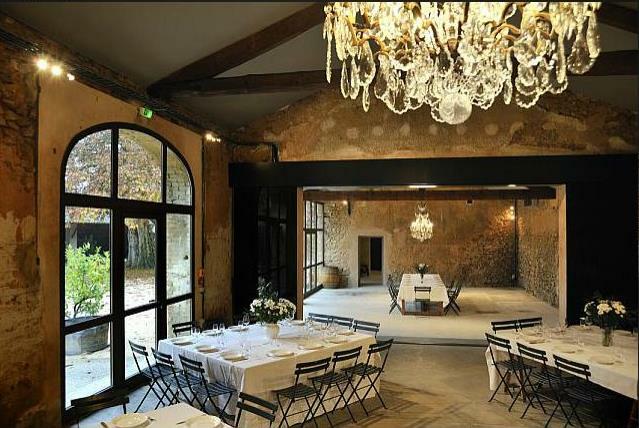 As I said, I like very much this wedding venue because you can use many different areas for your wedding in Provence. 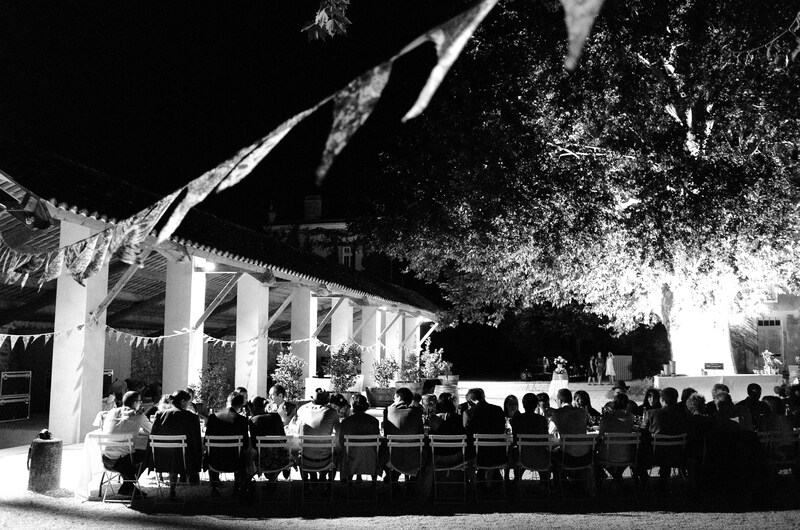 As a matter of fact, the wedding ceremony can take place in the vineyard or in the beautiful garden of the venue. Both places are romantic and lovely. 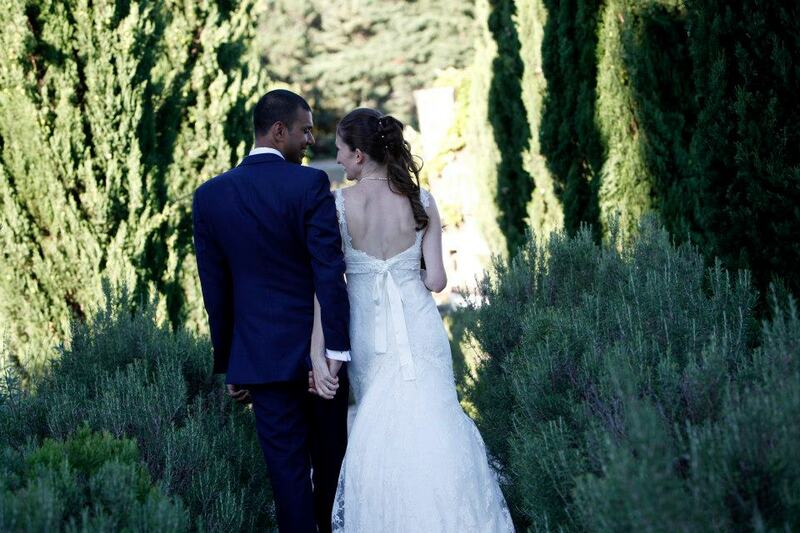 With this wedding package, you’ll real taste the real Provence ! 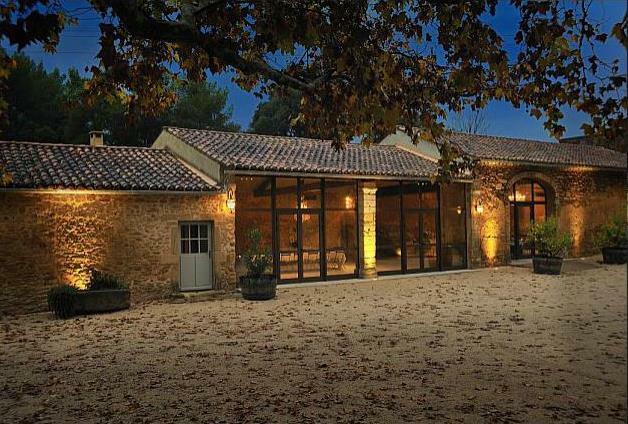 The diner will be done by a French catering company based in Provence, not very far from the venue. 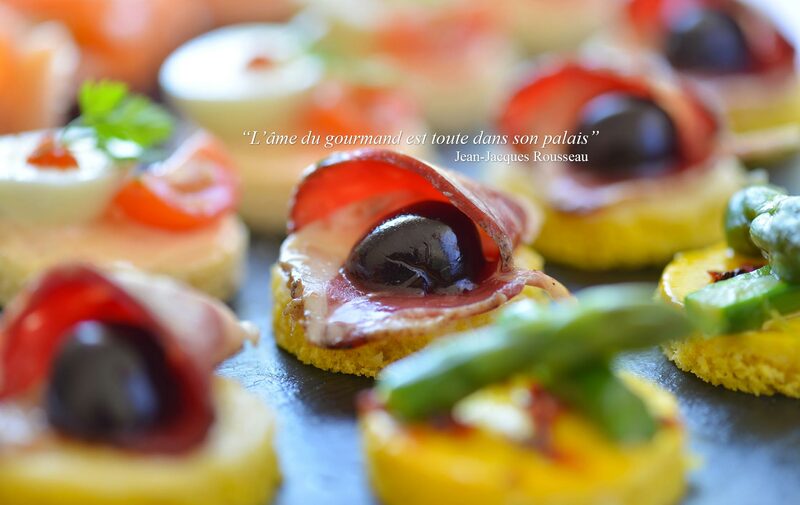 Of course, you can decide with the caterer what you wish to eat but globally all the menus have a Provence touch, that you and your guests will enjoy. Our wedding package includes the 3 courses diner and the aperitive. Tablesn chairs, cutlery are also included. The soft drinks will be provided by the caterer. Thus you can come with your own alcohol without additional cost but it is highly recommended to order some bottles to the owners. Honestly, their wines are really good ! 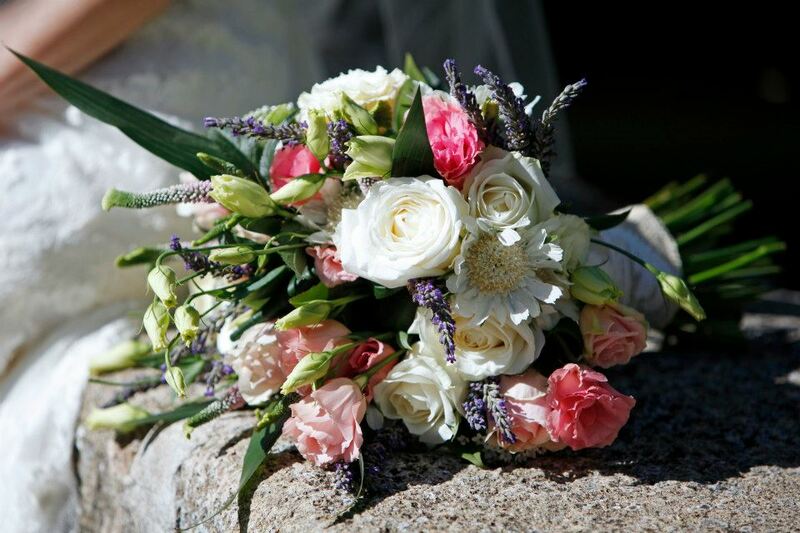 For this wedding package in Provence, we work with a friendly and professional florist. The package includes the wedding bouquet and the table centerpieces for the wedding diner. But Obviously our florist can define with you additional decoration for the ceremony indeed. In any case, given the fact that this wedding venue is already beautiful, you do not need to add too much decoration ! A beauty institute is located close to the wedding venue. So the bride but also the bridemaids and the mothers can come to this place before the wedding. We include in the package, hairdressing and make up for the bride. The DJ will be at your disposal before the wedding to define the kind of playlists you like. The DJ will also advise you for the main songs you have to choose : the ones for the ceremony obviously, but also the one for the first dance, the music for the wedding cake and the music to open the diner ! Don’t hesitate to contact us for any details and reservation. 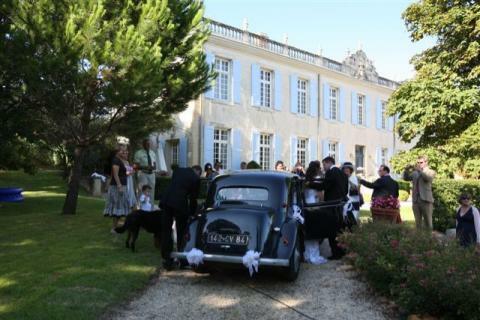 Ce lieu est magnifique et serait parfait pour notre mariage! Est-il libre dans la semaine du 27 au 31 octobre? Could you tell me if you have availability for this venue midweek in August 2015 and if you could send me some information on it, that would be great. 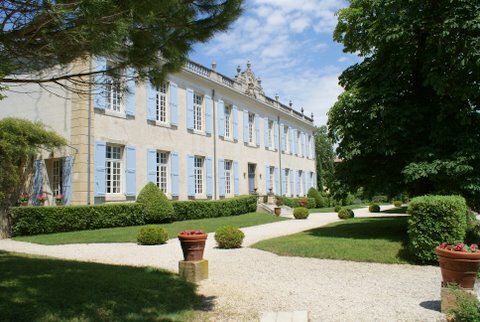 My partner and I are newly engaged and are considering getting married in the south of France. We live in Ireland but have spent lots of time in France and know the area around villefranche well. 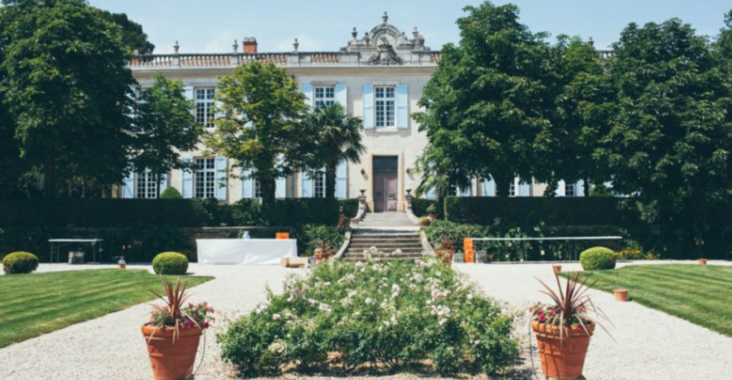 We are coming to France this week to start looking at venues and would like to get some advice from someone who knows the area. 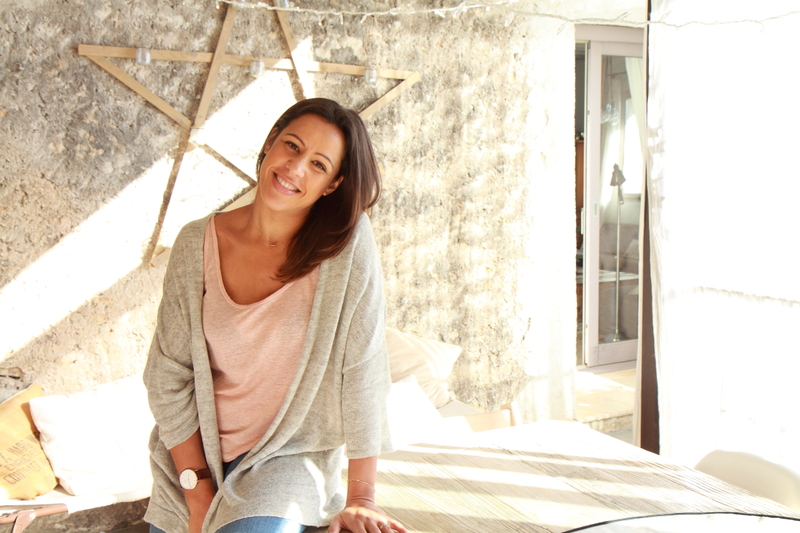 I love your website and would like to organise to meet if that’s possible? I supposed that one of my wedding planner friend contacted you.